Thanks to BHPian VivekCherian and Joseph Rony for sending these images in. Heartfelt gratitude for sharing it with other enthusiasts via this Team-BHP page! 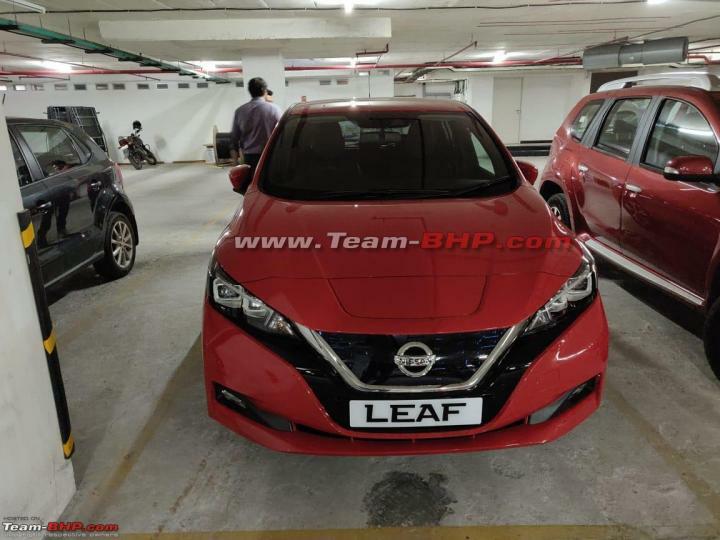 Earlier this year, Nissan had revealed its plans to launch the second generation Leaf EV in India. The car was recently spotted in an underground parking lot in Kerala. 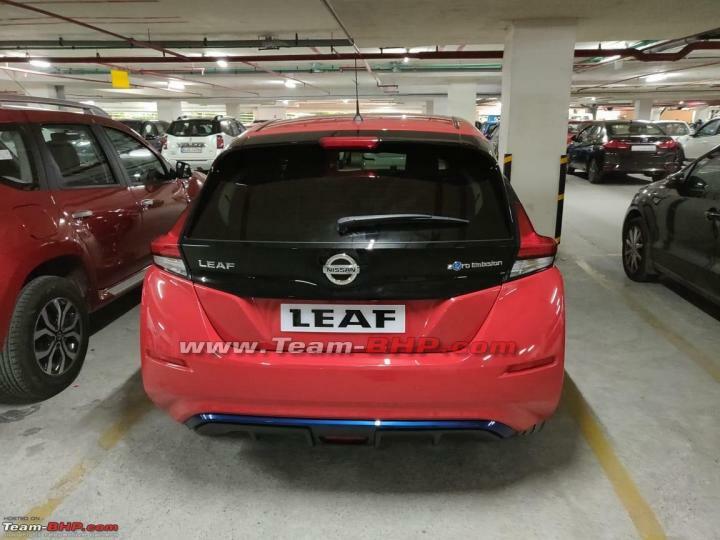 The Nissan Leaf 2 is a 5-door hatchback with a dual-tone exterior. This particular car is finished in red and has blue accents on the grille and rear diffuser. 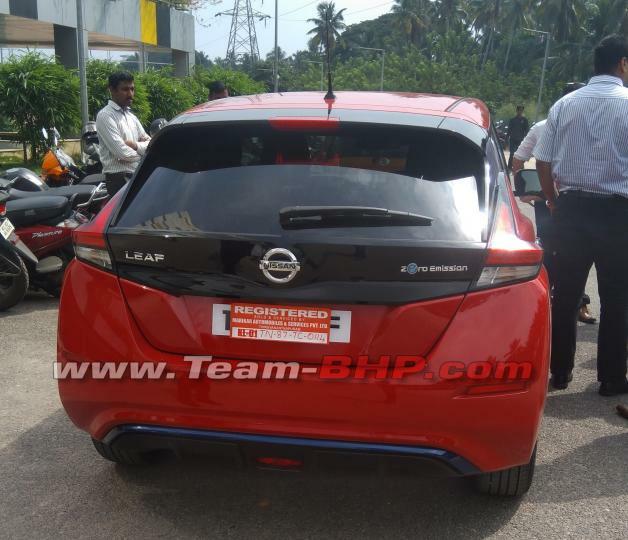 The car has a V-shaped chrome grille flanked by twin-pod headlamps, while the front bumper houses a set of fog lamps. At the rear, the Leaf 2 features triangular tail lamp clusters with black trim in the centre. The car has a raked rear windshield and a black roof spoiler. 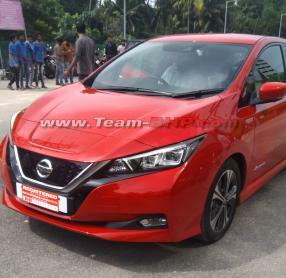 The Nissan Leaf 2 is powered by an AC synchronous electric motor that produces 148 BHP @ 3,283-9,795 rpm and 320 Nm of torque @ 3,283 rpm. It is paired with an automatic transmission. It comes with a 350 V, 40 kWh lithium-ion battery that is claimed to have a range of 378 km on a single charge.